Ah, they grow up so fast. The fifth annual Call to Action Conference has now come and gone and it was a helluva time, as always. 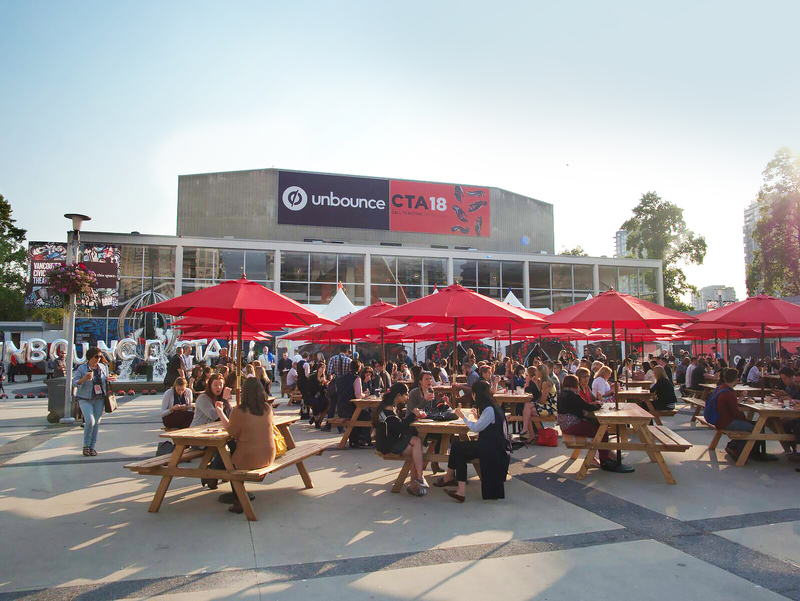 Having been at Unbounce for 4 years now, I’ve seen CTAConf grow from a grassroots sproutling with 300 attendees to a 1,000-person event taking over the Queen Elizabeth Theatre. This year’s theme was “The Marketing Revolution” in response to the fact that marketing has changed. It’s tougher than ever and what used to work, doesn’t anymore. 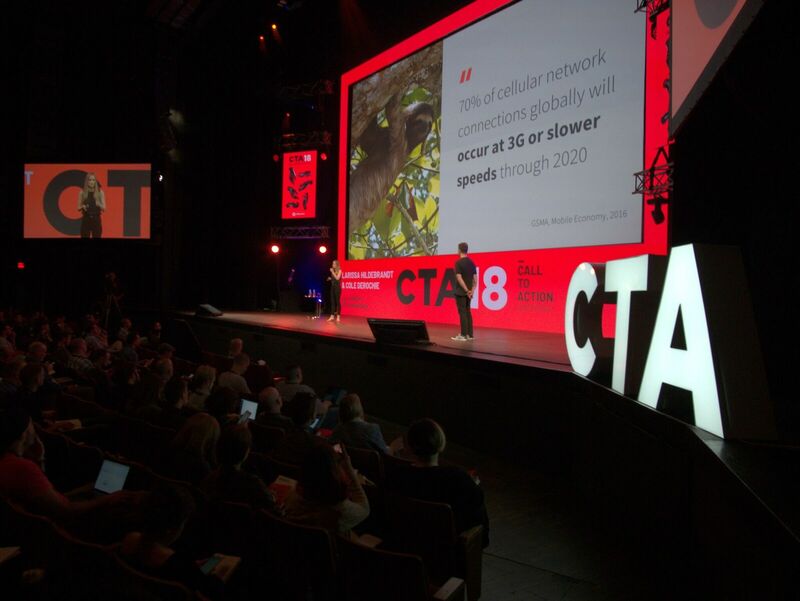 Twenty-two marketing experts took the stage to give new solutions to old challenges and actionable solutions to new ones—not to mention the food, people, games, swag and after-parties that made it the best CTAConf yet. It’s fantastic to be at a conference that is invested at up-levelling experienced digital marketers, not just new ones. Something for everyone. Grateful for #CTAConf. The reason that #CTAConf is the only must-attend conference for our team is because they're not afraid to get crazy-specific in the talks. Deep, nerdy, and useful, even if it's not 100% relevant to everyone, is so much better than kinda interesting to 100% of the audience. 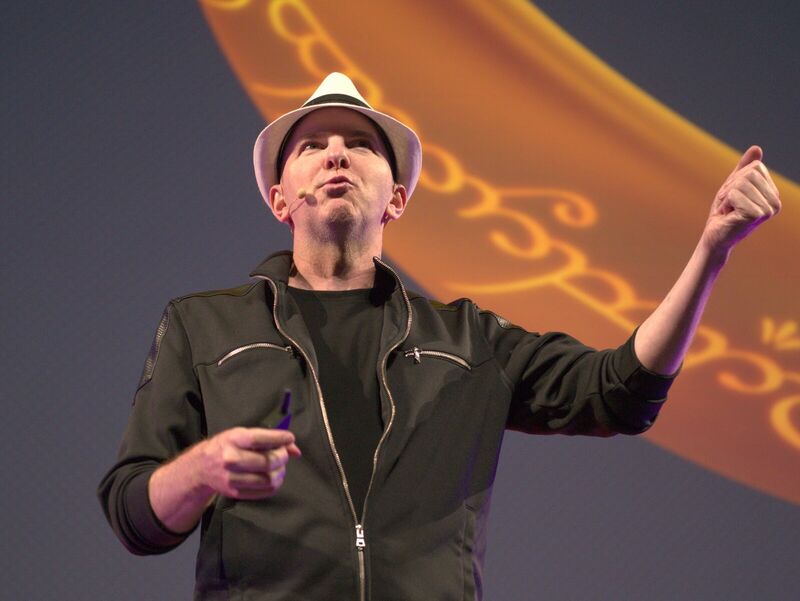 Take a trip down short-term-memory lane with me to relive takeaways from the stage and see all of the speaker videos and slide decks on the 2018 recap site. 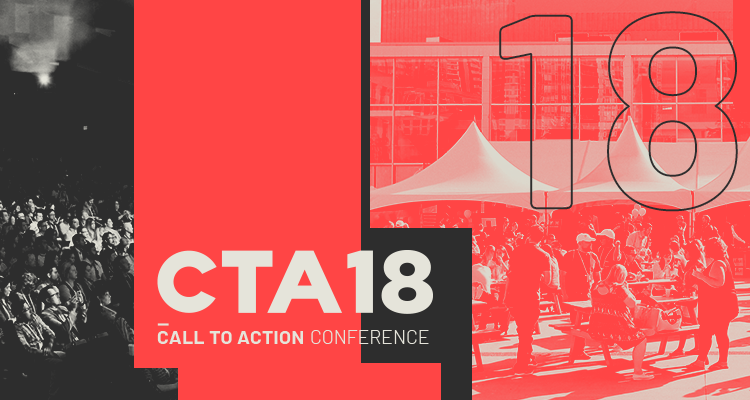 Already interested in CTAConf 2019? Get two tickets now for the price of one. Alternate subtitle: Too Fast, Not Furious. Page speed came up over and over again as something marketers should prioritize in order to keep visitors happy, or keep them at all. Cyrus Shepard, formerly Head of SEO and Content Development at Moz and now partner at Zyppy, brought page speed up as part of his talk on SEO strategy and engagement metrics that truly matter when it comes to improving rankings. Bounce rate is a deciding factor when it comes to SERP, and the number one reason people will leave your page in the first place is because it’s too slow. And of course, we can’t talk about speed without talking about AMP! That is, accelerated mobile pages, which are stripped down web pages designed to load at lightning speed; and something Google is paying very close attention to. Considering mobile accounts for more than 60% of internet usage and conversions drop by 12% for every second of delayed load time, AMP can have a significant effect on your Quality Score and bottom line. Accelerated mobile pages are currently in closed beta at Unbounce, but you can sign up here to get on the list and be first to know when it’s open season. In the days of marketing yore, “content was king” and all we needed to do was make it good. Now, the oversaturation of content has made most of us wonder if content marketing itself is a thing of the past. Not so! It’s simply evolved, and so should our content strategies. 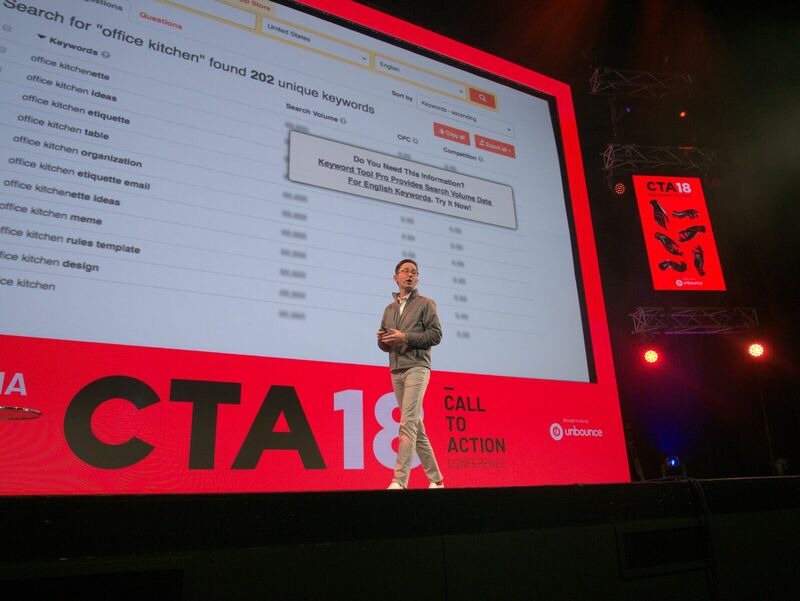 Unbounce Co-Founder Oli Gardner kicked the conference off with his keynote presentation on the “Marketing Optimization Map”—an antidote to broken content marketing. Companies need to create customer-centric content and guide visitors toward product awareness with content that is relevant to them at whichever stage they’re in. Having a publishing mission (i.e.“Our content is where [audience X] gets [information y] that offers [benefit z]”) gives marketers a 33% better chance at success, and this statement should be prominent across your site, blog, and social profiles. From there, it’s all about finding the right topics for the right audience—using Google, keywordtool.io, Quora, etc. There was’s a ton to take away from Andy’s talk, but one thing that definitely stood out was his emphasis on original research. His formula is deceptively simple: Discover → create → distribute. Facebook is particularly great for discovering what your audience is interested in, through Facebook Insights and groups, as well as Quora, LinkedIn, Slack communities, and Reddit, now the third most visited site in the U.S. From there, you can create content specifically tailored to those questions and conversations, and distribute it back through those channels along with multiple others. April Dunford is a renowned expert on product positioning, having done it for a series of high-growth startups and global companies before founding her own, Rocket Launch Marketing. The present-day oversaturated market is as difficult for product launches as it is for content, but April knows just how to turn that existing market momentum in your favour. First: declare a market category based on your product’s strengths and let people know what that category is because, “We do not buy what we do not understand.” Position your product in a way that makes its benefits obvious and provides context to your audience—and make those strengths overlap the market. Before you launch, however, having your product marketing locked down internally is key. Hana Abaza, Head of Marketing at Shopify Plus, shared her story starting as one of two marketers for a company with built-in market pull. A marketer’s dream? She built Shopify Plus’ product marketing strategy from scratch by looking at it cross-functionally—something that fuels growth, enables teams, and helps build the product. It should overlap the product, marketing, and customer-facing teams and show its success through employees’ ability to explain the product well, a value prop easily understood by prospects, and of course, successful marketing campaigns. From there, she laid out a detailed positioning, messaging, and go-to-market strategy, and how and when to involve each team. Artificial intelligence seems to be on everyone’s unartificial mind right now, with a secret whispering fear we’ll be automated right out of a job lurking in the back of it. But fear not! It’s not so much about having our jobs replaced as having them enhanced by AI’s capabilities, and finding creative ways to work with it. 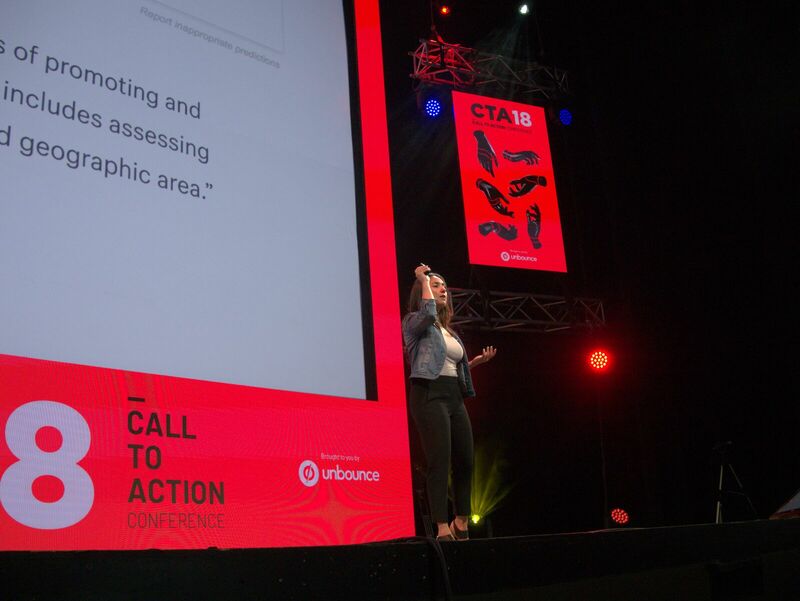 Carl Schmidt, Unbounce CTO and Co-Founder, and Christi Olson, Microsoft Head of Evangelism for Search, both tackled the topic of AI from broad and specific perspectives. Carl spoke of the limitless potential business’ can have if they embrace AI versus the potential for disaster if they don’t keep up (cue Blockbuster reference). Using A/B testing as an example, he wondered whether there really is one best page for your audience, something split testing assumes. “What if we can use AI to deliver personal and relevant content tailored to an individual?” he asked, before revealing some until-then top secret information about a conversion tool Unbounce is building to do just that. 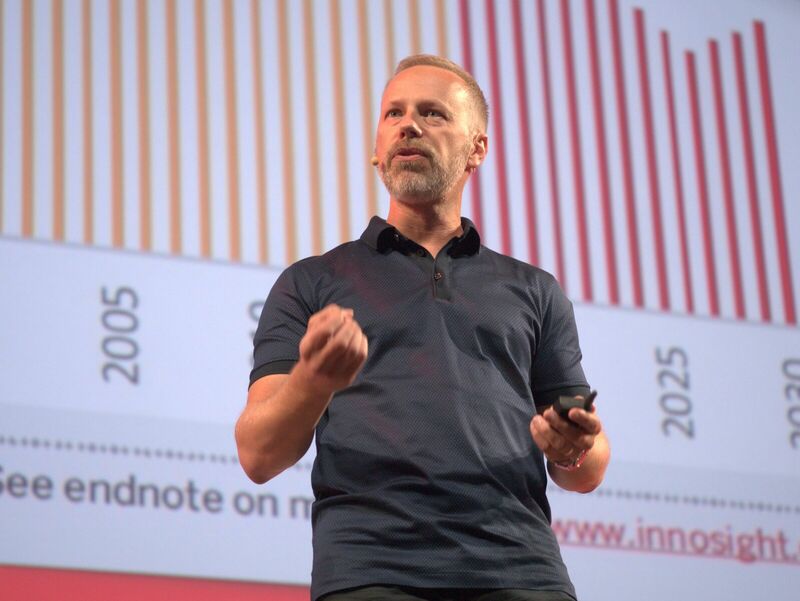 Watch Carl’s full talk, Join the AI Marketing Revolution: Humans Wanted. Christi honed in on conversational AI—digital assistants, chatbots, and voice search—and the opportunities it gives marketers to further engage prospects and customers. 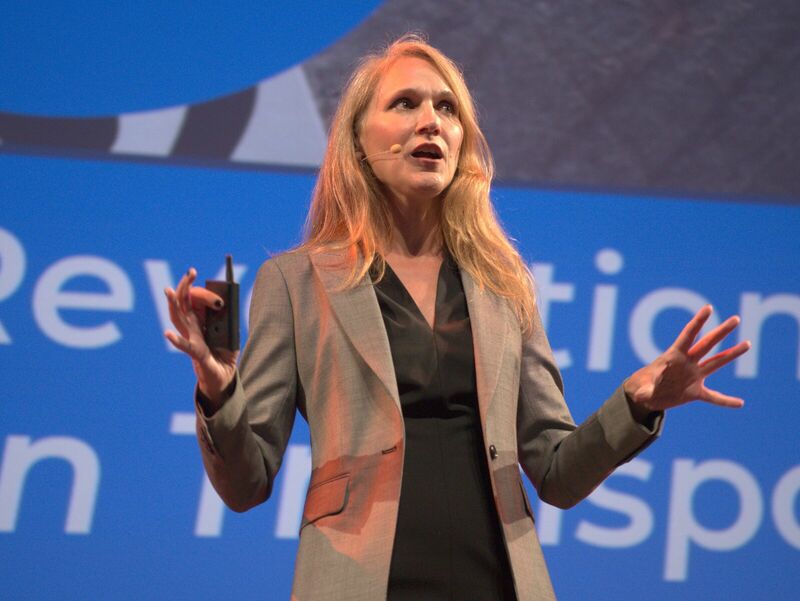 Consumers are switching from using touch as the primary user interface to using voice, she explained, which is a drastic change in how we interact with technology that is led by conversational AI. It’s important that we optimize for brand, conversational tone, query, and “action over answers” to deliver the best possible experience, and develop an overall content strategy to facilitate that. For instance, you can optimize content to become snippets to capitalize on voice search results and use tools like AnswerThePublic.com to find out exactly what’s being asked. 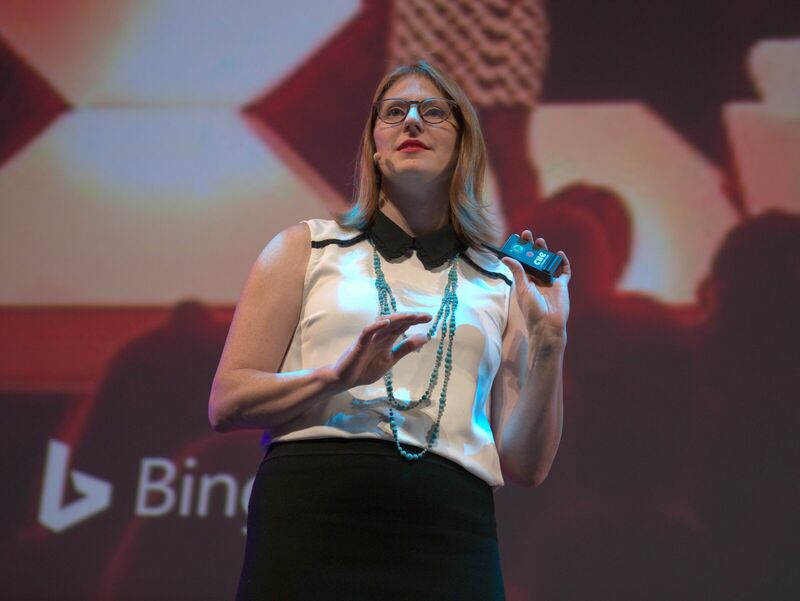 Watch Christi’s full talk, AI and Unchatted Territory. And there you have the smallest of nutshells I could manage. There are so many more takeaways to grab from the talks mentioned here, and so many more speakers from Google, Zapier, Crayon, STAT Search Analytics, and more to learn from. 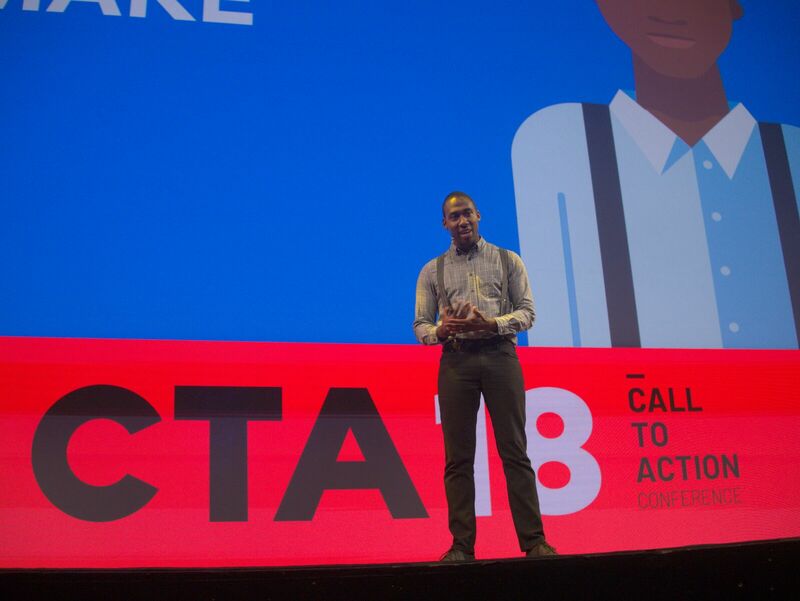 Head to the Call to Action Conference 2018 Recap site below to watch all of the speaker presentation videos and get your hands on their slide decks and resources, all ungated and completely free. 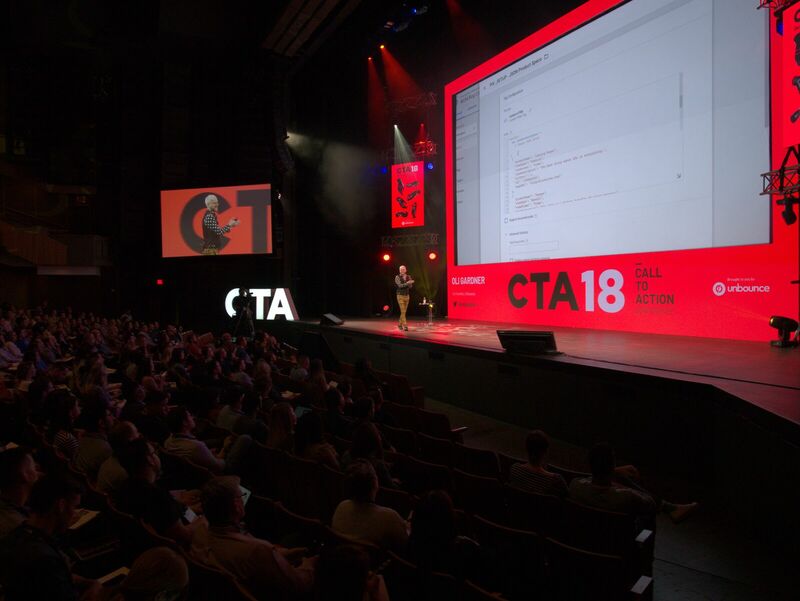 Then grab a friend and join us for CTAConf 2019, because tickets are on two-for-one sale right now! Hayley is a Copywriter on Unbounce's content team. When she's not rambling away, you'll find her watching the Real Housewives of Anywhere, eating a block of cheese as a meal, or petting strangers' dogs on the streets of Vancouver.